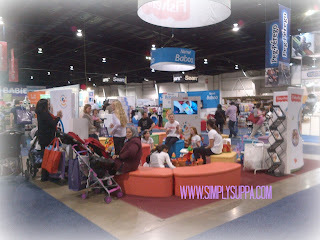 Today, Marliese and I and our two babes in tow were some of the first in line for the Spring BabyTime Show at the International Centre in Mississauga. Last year at the spring show, my babe was just a little peanut, having only come home from the hospital 3 weeks earlier. The fall prior, I was pregnant, and went to the show for the first time with my mom. Each visit has been a different experience for me, and that's because my baby has been at a different stage of life. It's also interesting to note how I felt today versus my other visits. As a pregnant mom, or a brand-new mom, or even a mom to a 6 month old, the show was sometimes overwhelming. There was so much info, so much to learn, so much to see. 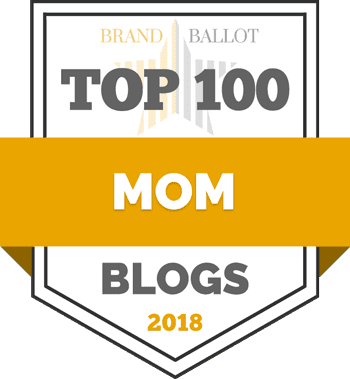 As a mom to a toddler (eek! ), I could see everything with new eyes - I knew what we liked, found some interesting and new products and still came out learning something. 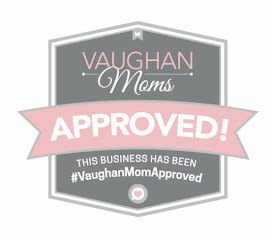 Today more than ever, I realized this show is perfect for all moms - young, older, new or more experienced. We just see it through different eyes. Here are my takeaways - just a few - the show is still on until Sunday so please go visit! Large retailers filled the centre, from Fisher-Price to Peg Pergo to Natrel Baboo and Snugglebugz. This was a great time to test out strollers, toys, convertible car seats and do some shopping. It's sometimes difficult to navigate with the strollers, but be patient and everyone will get through. It didn't stop me from visiting anyone - I hit up every single vendor to see what they had in store. The stage was a hit for toddlers to preschoolers. 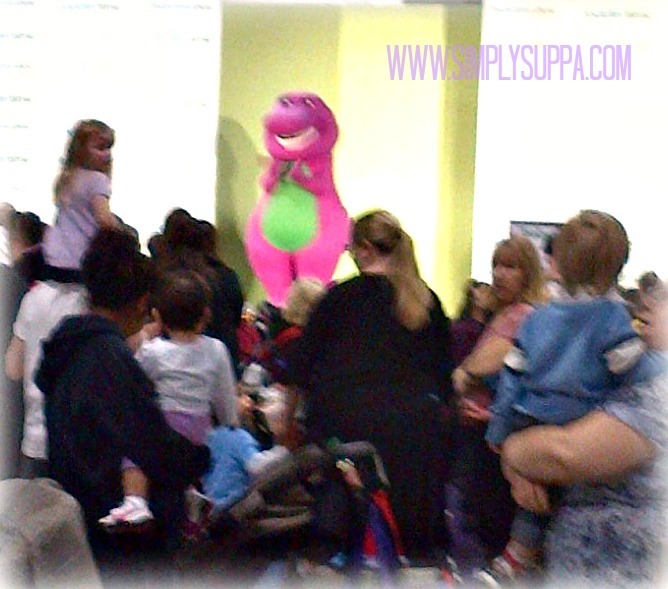 Barney had a great presence and had kids and parents singing and dancing. Pardon the photo - Barney kept moving! Isabelle met lifesize Angelina Ballerina for the first time and while she was mesmerized by her, I didn't risk traumatizing her by taking a photo. I love me some local goodness. 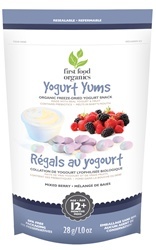 First Food Organics is an Aurora, ON based company that makes organic baby food. York Region Living first profiled Jenn and her company out of her home a few years ago. It was nice to reconnect at the show. She was giving out samples of her Yogurt Yums, and instead of trying them for myself, I gave them to the real judge - the babe. She LOVED them. And of course, you get them at a great price at the show. Not only are these little yogurt snacks delicious, but they're good for her and I know where they've come from. Big Bonus. And, even mommy deserves a little something at The BabyTime Show! 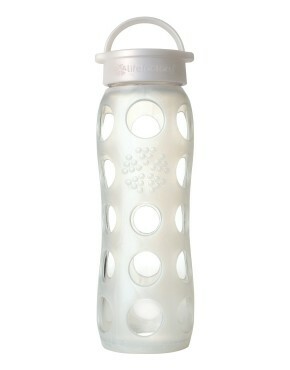 I've been looking for a glass water bottle for the last little while and this beauty is from LifeFactory. It was $20 at the show and holds 600ml of H20. Of course, the handy dandy silicone sleeve prevents the glass from breaking - if and when I drop it. If it gets me to drink more water throughout the day, it's done its job. And there you have it - a short recap on what I thought was another successful show. Of course, I didn't comment on the bottles and the pacifier clips and the photographers and the clothing shops. They were all there and they were all fabulous. If you're still debating a trip this weekend, venture out and enjoy! 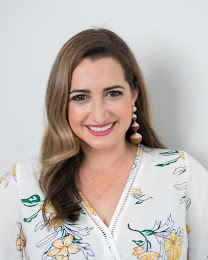 Disclosure: I am a BabyTimeShow blogger and received free tickets to attend the show.